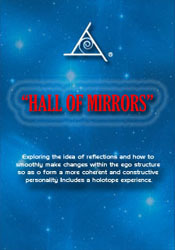 Exploring the idea of reflections and how to smoothly make changes within the ego structure so as to form a more coherent and constructive personality. A discussion on the experience of process and how events seemingly linked by process are separate experiences. Q&A includes: How can I refine my beliefs about the collapse of the economy? Are the Annunaki part of the "Council of Nine? ", Will Comet Elenin impact earth? How can I reduce or eliminate the idea of process? Was Jesus an actual being? Includes a HOLOTOPE EXPERIENCE.